There are several features available to modify each available campaign template. There are two tabs: Content Blocks and Background. Content blocks are the elements that make up the template, such as headers and footers. Already created templates contain these features, but they can be modified, removed, or moved at your discretion. Also, new content can be added by dragging an element from the left and dropping it onto the page. The Background tab enables you to change the background color of the template or upload an image to use as the background. Up and Down Arrows: Move the element higher or lower on the template page. Garbage Can: Removes the element from the page. Clicking on the element will display the configuration options on the left. In the example below, the configuration options for a header element are available and there are tabs for each aspect. The address information can be edited using the available options. 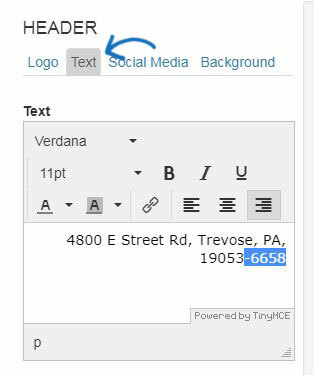 Once you are finished editing an element, such as the header, click on the Done Editing button. Depending on the number of configuration options, you may need to scroll down to access this button, as well as the Back to Content Blocks option. The available content blocks also enable you to include products from ESP by using the 1, 2, or 3 products options. 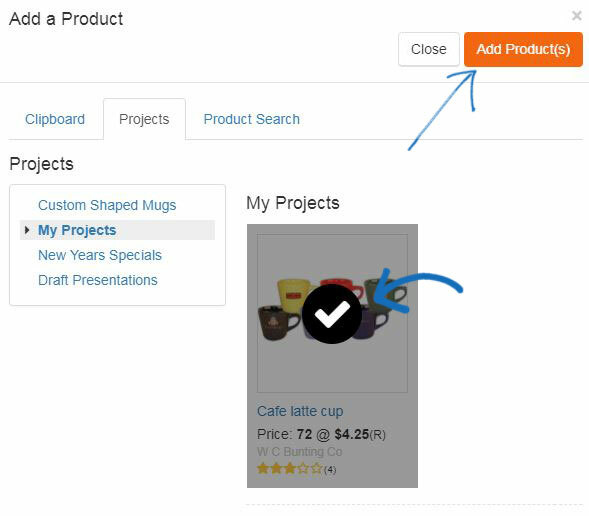 After dragging and dropping a product element, the Add Product window will open, enabling you to use products from the Clipboard, a Projects folder, or a quick search of ESP products. Click on the product(s) you would like to include and then click on the Add Product(s) button. The options on the left will display the product customization options. You are able to change the product information in the available fields, as well as use the Replace My Product button to select a different item. 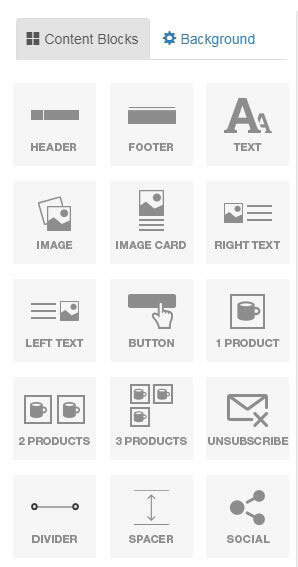 If there are multiple items (2 or 3 product elements), each product will have it's own tab. It is recommended that each template contains the Unsubscribe element. You will be able to build and save templates without this element, but it is not recommended because the unsubscribe option is required when sending a campaign in order for the campaign to be in compliance with CAN-SPAM laws. However, you can also always add the Unsubscribe on the fly when editing the template during the campaign creation process. Once you have finished editing the template, you can use the Preview button to open the template in a new tab and look it over. Then, click on the Save button and then click on Continue to select the recipient list.